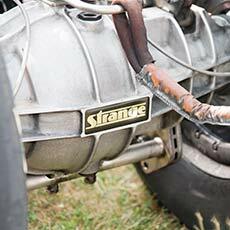 Strange Drag Race coilover shocks were developed with the help of several chassis builders, Pro-Mod racers, and World Champion Sportsman racers. The hard work culminated into a shock that is highly responsive, consistent, and can be easily adjusted to adapt to slight changes in atmospheric conditions. Each Strange shock body, eyelets, spring seat and jam nut are fully machined from high-grade aluminum. 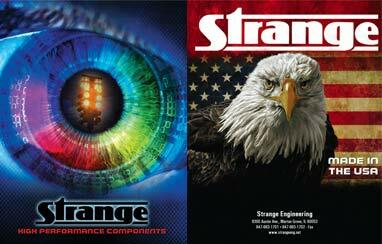 Strange fully assemblies and inspects each shock. 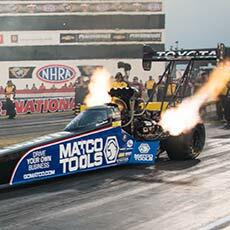 The Strange dynamometer facility enables us to analyze shocks at all shaft speeds and continue our valve development to stay at the forefront of Drag Racing shock technology. The shocks incorporate a wide range of adjustments that suit most needs, but custom valving is always available. 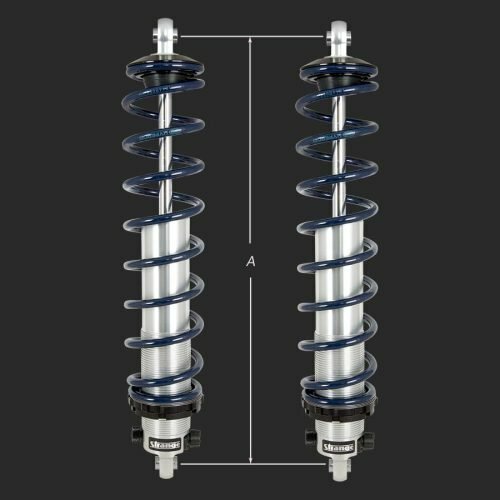 These coil-over shocks are designed to simplify the process of tuning your suspension. 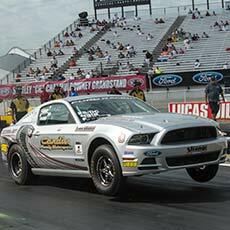 When adjustments become necessary to a drag race vehicle, Strange shocks prove to be a valuable tool to alter the reaction of the suspension to compensate for the change in conditions. Shock extension is easily adjusted by turning a conveniently located external knob. The external knob offers 10 precise extension (rebound) settings and allows for a wide range of adjustment. 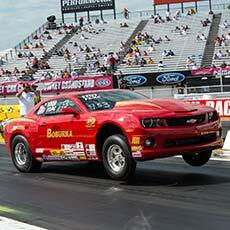 Double adjustable coilover shocks are offered to drag racers requiring more control of the suspension system. 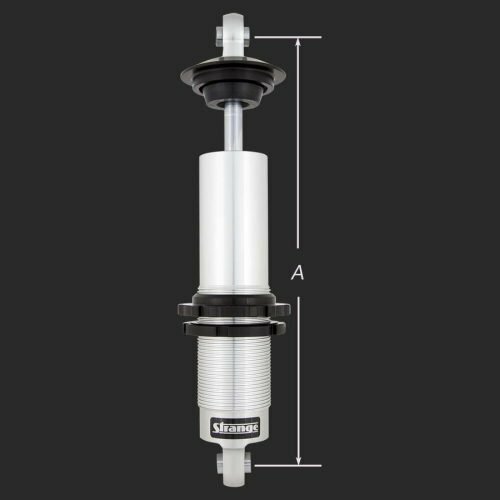 The double adjustable shock offers all the benefits of the single adjustable shock, but also incorporates an additional knob for accurately adjusting compression (bump). The ability to independently adjust both extension and compression allows the chassis tuner complete dampening control of the vehicle’s suspension. Strange double adjustable shock package include Teflon lined high misalignment bearings, spring seat bearings and Hyperco Springs. Hyperco springs are supplied to ensure consistent performance and alleviate additional problems that may be introduced with lesser grade springs. 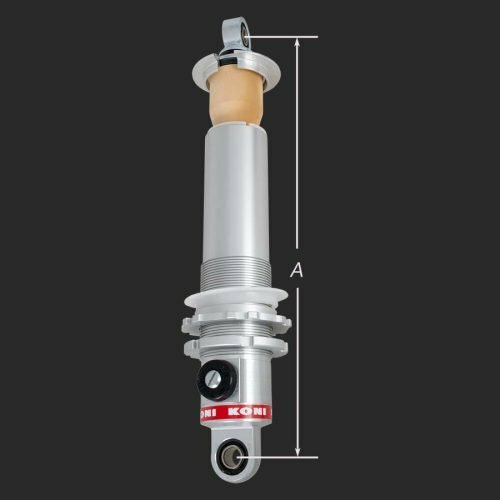 Koni coilover shock absorbers feature SPA 1 valving. SPA 1 valving is velocity sensitive, which allows for hard launches and allows proper “unwinding” of the rear suspension. 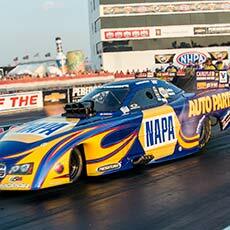 They are produced from quality materials and surfaces are machined to close tolerances. Extension (rebound) is adjusted through a slot under the top eye, while compression (bump) is adjusted above the bottom eye. 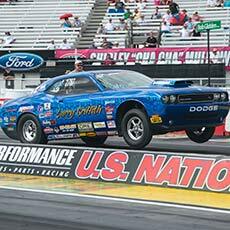 Every Koni shock is 100% dyno tested to assure optimum performance.